Manhattan District Attorney Cyrus R. Vance, Jr., and New York City Department of Investigation (“DOI”) Commissioner Mark G. Peters today announced the indictment of CRV PRECAST CONSTRUCTION, LLC (“CRV”) and six of its employees for misclassifying workers as lesser-skilled, underpaying them, and falsifying information about payroll and employees, including a worker who was killed at a company job site. The defendants are charged in a New York State Supreme Court indictment with Insurance Fraud in the Second and Third Degrees, Grand Larceny in the Third Degree, and Scheme to Defraud in the First Degree, among other charges. 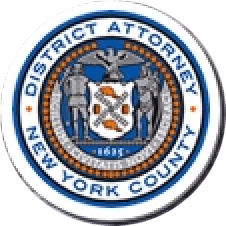 The indictment follows a joint investigation led by the Manhattan District Attorney’s Office’s Construction Fraud Task Force and DOI, with additional assistance by the New York State Insurance Fund (“NYSIF”). Under federal prevailing wage law, contractors and subcontractors on federally funded construction projects are required to pay the prevailing rate of wage and benefits to workers. The classification of these workers and the wage paid must correspond to the actual work performed so that workers are not purposely misclassified and, thereby, underpaid. In 2016, CRV was hired as a subcontractor on a federally-funded project involving the renovation of Draper Hall, a former medical dormitory located at 1918 First Avenue, which was being remodeled as an affordable housing complex for seniors. CRV was contracted to erect a steel framework, which requires ironworkers, and install precast concrete planks, which requires ironworkers or concrete laborers, depending on the specific task. According to the indictment and documents filed in court, CRV and multiple individuals who operated the company misclassified workers in order to pay them less than the prevailing wage rate. These individuals include: LUIS E. RIVERA, 51, the registered owner of CRV; THOMAS J. CARROLL, 75, the operating manager; his son, TIMOTHY CARROLL, 52, a field superintendent; DONNA L. MORRIS, 63, a payroll administrator; LINDA J. DOPPLER, 56, the company’s comptroller; and FRANK P. VALENTINO, 76, who acted as CRV’s comptroller between 2009 and 2016. By misclassifying workers on certified payroll reports as lesser-skilled concrete laborers instead of ironworkers, the defendants were able to underpay and steal approximately $40,000 from at least four workers. When workers complained about the lower wages, they were informed that they could quit. The defendants also filed false payroll information with NYSIF in order to lower CRV’s workers’ compensation insurance premiums. By underreporting the company’s expected aggregate payroll for 2015-16, CRV underpaid NYSIF approximately $380,000 for the insurance coverage it received. In addition, by misclassifying ironworkers as concrete laborers—who are insured by NYSIF at a lower risk factor—CRV fraudulently lowered the company’s premium for the insurance year 2016-17. In total, CRV underpaid NYSIF by approximately $410,000 by underreporting payroll and misclassifying workers. In one instance, the defendants provided NYSIF with false information about an ironworker, Elizandro Ramos, who died at a CRV job site in Queens. In a payroll summary, the victim was falsely listed as a concrete laborer, even though he was performing iron work for CRV at the time of his death. In 2015, the Manhattan District Attorney’s Office formed the Construction Fraud Task Force with partners in law enforcement, including DOI, the Metropolitan Transportation Authority (“MTA”) Inspector General’s Office, and the Port Authority of New York and New Jersey (“PANYNJ”) Office of the Inspector General, to investigate and pursue criminal cases against individuals and companies who endanger the safety of others and undermine the integrity of the construction industry. Following a series of successful trial convictions related to the death of worker Carlos Moncayo, District Attorney Vance created the Construction Safety Community Project to train workers to recognize workplace safety hazards and signs of fraud, and proactively report them to law enforcement. To date, the Construction Fraud Task Force has conducted more than 60 presentations across the city for more than 2,200 construction workers. Workers are encouraged to send tips related to wage theft and dangerous work sites directly and anonymously to the Manhattan District Attorney’s Office through WhatsApp at (646) 712-0298. These reports may be investigated by members of the Construction Fraud Task Force, which has secured a number of notable convictions and has previously returned approximately $1.4 million in stolen wages to workers. Assistant D.A. Leah Keith is handling the prosecution of the case under the supervision of Assistant D.A. Diana Florence, Attorney-in-Charge of the Construction Fraud Task Force, Assistant D.A. Michael Ohm, Deputy Chief of the Rackets Bureau, Assistant D.A. Judy Salwen, Principal Deputy Chief of the Rackets Bureau, Assistant D.A. Jodie Kane, Chief of the Rackets Bureau, and Executive Assistant D.A. Michael Sachs, Chief of the Investigation Division. Task Force Coordinator Hildalyn Colon Hernandez, Paralegal Sophia Inkeles, Special Investigator Angela Jenkins, and Task Force’s Research Analyst Damaye Williams provided additional assistance with the investigation. District Attorney Vance thanked the following agencies and individuals for their assistance with the investigation: DOI, and in particular, Commissioner Mark G. Peters, First Deputy Commissioner Lesley Brovner, Deputy Commissioner and Chief of Investigations Susan Lambiase, Associate Commissioner James Flaherty, Inspector General Greg Cho, Chief Investigator James McElligott, Investigator Ross Hoffman, Special Investigators Janaina Siguencia, Gina Manzi, and Christina Clyburn, and Assistant Inspector General Dan Taylor; NYSIF, and in particular, the Division of Confidential Investigations; Frank King, Chief Labor Investigator for the New York State Department of Labor; and New York City Housing Preservation and Development, and in particular, Executive Director for Regulatory Compliance Lucy Joffe and Director of Labor Monitoring Unit Rashid Allen.